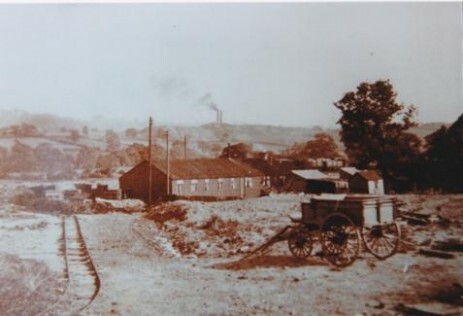 Ramcroft Colliery. (1916-1929 & 1939-1966). Prompted by the local and national search for future coal reserves for the Staveley company to aid the war effort it was proposed in October 1914 to further exploit the Palterton and Heath area. An area which had been worked during the nineteenth century by smaller shallow mines on the Sutton estates. The original lease being owned by the directors of the Staveley company from William Arkwright on a sixty three year lease for 5,000 acres of coal which they purchased in 1882. 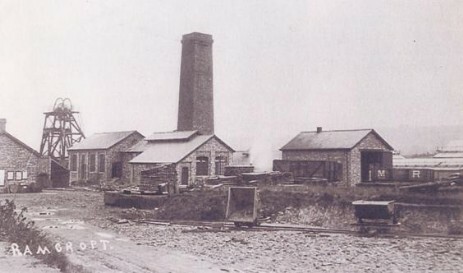 The Ramcroft colliery company was formed under the guidance of Charles Paxton Markham of the Staveley company and exploited the Top Hard seam in shafts of 152 yards deep as a direct result of the war effort. 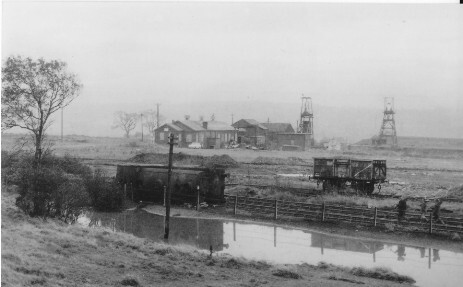 After the war it was decided to construct a branch line into the colliery with sidings, two pieces of land were leased on March 25th. 1919 for an annual rent of £37:2s:6d. For a ten year period from 1929 the mine was mothballed and three men maintained the colliery. The colliery reopened for coal production as a result of the Second World War in 1939 with the Hardwick colliery company controlling it. The five hundred colliers employed could supply around a quarter of a million tons per annum from the Top Hards, High Hazels, First and Second Waterloo seams. Experiments were carried out at the colliery during the 1940's with the first hydraulic pit props, the colliery was vested into the National Coal Board in 1947. In 1935 a pipeline was constructed from the colliery to the coking ovens at Holmewood to supply it with water to quench the batteries, so a six inch diameter pipe and pumping station were installed to supply the waste Ramcroft water to the plant. A drift was constructed in 1952 to link the First Waterloo to the Top Hard seam to increase production, this was short lived as the colliery closed in 1966 and shortly afterwards the area was opencast and the last remaining seams the Clowne, Sough and High Main removed from the Deep Ring Bell opencast operation and the land returned to agricultural use once more. The depressed state of the coal industry is further emphasised by the announcement that the Ramcroft Colliery is to close down next week. This pit owned by the Ramcroft Colliery Company Limited has been working for about twelve years. It employs 660 men and boys whose notice expires on the 15th inst. 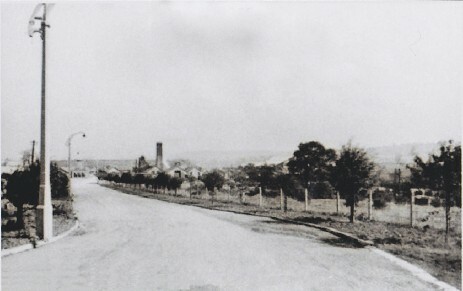 The news that the pit is to close will come as a great blow to numerous villages within a wide radius of Palterton for the colliery provided employment for men from localities as far removed as Clowne and the intervening townships of Stanfree, Shuttlewood, Bolsover, Hillstown and Glapwell. Sentinel No2. At ramcroft. date 1960's copyright but unknown. 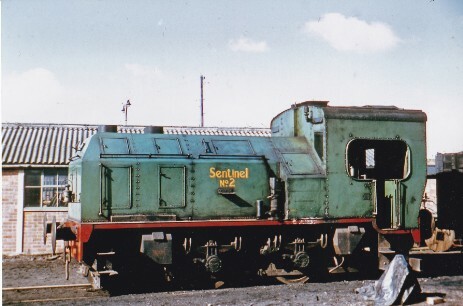 Photograph to right possibly Ramcroft, notice engine on its side in foreground, the Sentinel? All old photographs of unknown copy holder. 2019 photographs copyright ANB. Note the remaining old colliery street lamp still in situ. Singapore Free Press. 8th. March. 1957. P.7. 500 British miners went on strike after a woman was sacked because she wanted to make the tea 'the way they like it'. A spokesman for the men at Ramcroft colliery near Chesterfield Derbyshire said 'I'm sure there will be no work until she is reinstated'. The woman a 31 year old Mrs. Frances Hancock of Bramley Vale said 'It started about 3 weeks ago'. Mr. Soloman Walton, weighman and canteen secretary said tea should be made in urns and not in teapots and also said that only one spoonful of sugar per cup and two for mugs was allowed. Mr. Walton made the tea himself, his way, and said 'It's lovely, sell it to the men'. 'But you aught to have seen the faces of the men when they tasted it'. Mr. Walton said 'they could like it or lump it'. It was left on the table. 'I answered Mr. Walton back over his instructions and he said I was to leave my smock and not come back'. 'I went to the colliery manager to ask why I had been sacked and he replied that it was for insubordination'. It all ended well and the 'status quo' was maintained. 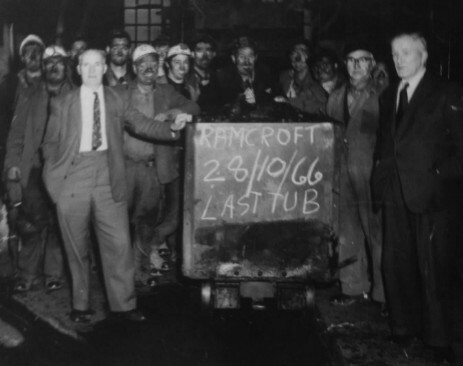 My father's Ramcroft signing on paper as an Underground worker NCB. The poems of a Ramcroft Collier by Harry Fokinther. 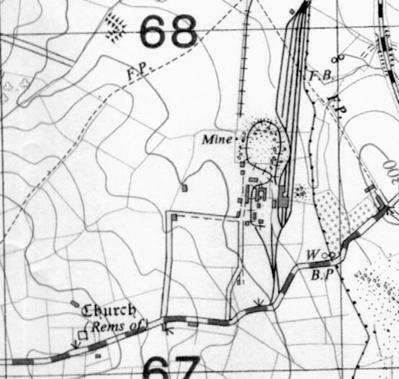 Ramcroft Colliery branch Line. Glynn Waite. Ramcroft Colliery Workmens Trains. Glynn Waite. Remains of Ramcroft Colliery 2019. The following photographs were taken of the remains of the colliery in 2019. The colliery cottages have been converted into the Twin Oaks Motel and the road was diverted in the 1970's to provide better access to the Glapwell colliery tips by the many refuse vehicles which filled the void there.